We have received a few questions on our business model through the new Companisto feedback tool and would like to answer those questions in today's update. Moreover, you may ask us your remaining questions during a live web conference; you can find the invitation below. We would like to communicate as transparently as possible and answer all questions you have; we will also be glad if as many Companists as possible actively participate in our conference. Instructions for participating: After registering, you will receive a confirmation e-mail with information on how to participate in the webinar. We look forward to an exciting discussion with you! How are the Beach-Inspector revenues distributed among the different revenue streams and what will that distribution look like in the future? We currently generate two thirds of our revenues by redirecting Beach-Inspector.com users to our tourism partners on a CPC basis (i.e., we generate revenues for every click on our partners' travel offers). The remaining revenues are due to display and performance marketing (banners, video ads, and text-picture ads) and to beach analyses commissioned by travel destinations. We measure the success of our website's monetization through the revenue we generate for each 1,000 website users. This revenue is currently EUR 75.00, and we expect it to grow to EUR 180.00 within the next few years. We will achieve this growth both through a broader and more user-friendly range of services (i.e., flights, hotels, trips, etc. in addition to package deals) and through more professional marketing of our website. Nonetheless, CPC revenue will remain our primary revenue stream in the future. What revenue does a beach have to generate in order to cover the cost of analysis? Some beaches cover the cost of analysis within just a few days, whereas this process takes much longer for others. In our analysis projects, we have to pay careful attention to analyzing insider tips and remote beaches in addition to beaches highly relevant to tourism so that our users get a comprehensive picture of a destination's beaches. Which potential competitors does Beach-Inspector have? We gather information at the beaches through trained Beach-Inspectors. We gather more than 120 data points per beach based on a standardized procedure that provides us with an objective picture of the beach and that enables our users to find the beaches that best suit their personal preferences. No other company provides comprehensive image and video content for every beach. These are large rating portals such as TripAdvisor and HolidayCheck. To such portals, a beach is a POI (point of interest) just like a museum or a café. First, these portals do not list all beaches and provide only comments and ratings by users. Second, they do not enable users to search for beaches with certain characteristics, a certain infrastructure, or a certain target group. 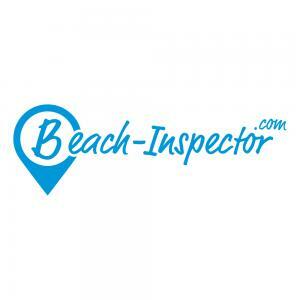 For a comparison of Beach-Inspector with those websites, please see the "Unique Selling Proposition" section of our profile here on Companisto. In many tourist destinations, there are regional websites and blogs offering (mostly unstructured) beach information. Again, users cannot search for specific characteristics on most of those websites. Moreover, the websites consist of texts and images. There are hardly any structured data, and local businesses often lack the courage to mention negative aspects. In Germany, for instance, there is Strandbewertung.de – a website operated by a travel agency. This website's data are solely from travelers. 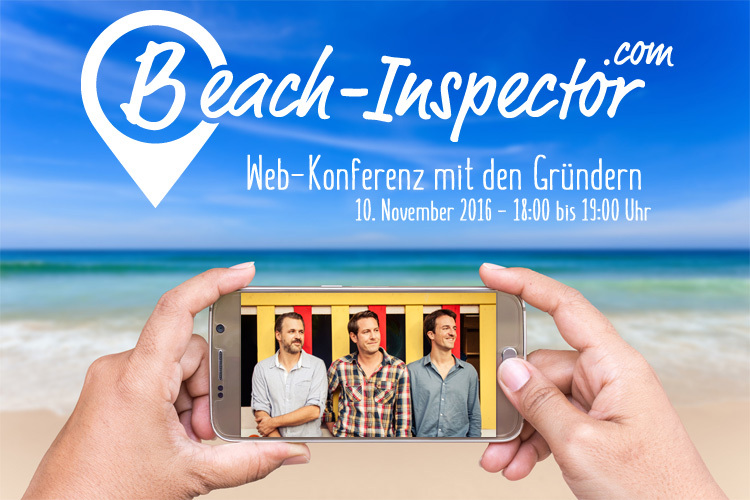 In terms of the amount of data and the quality of content, Beach-Inspector is at a much higher level. This is also visible in our information's visibility on search engines. Indeed, after a few months with only a few destinations, we have already achieved much higher visibility. In fact, our visibility on search engines is currently 800 % as high as that of Strandbewertung.de. Our goal is to develop the world's largest beach website and a popular brand centering around the subject of beach vacation. We have already taken the first steps toward this goal, but the remaining steps will still take some time. All KPIs (key performance indicators) indicate that our business plan is realistic. How easily may others (copycats) copy the Beach-Inspector business model? With every new beach and every additional destination we add, our competitive edge increases, which makes it harder for new competitors to reach the same coverage and reach. As we have already covered many important beach destinations in Europe, the danger of copycats on our home continent is relatively low. The situation in the Americas, Asia, and Australia is different. Indeed, to become the first mover within those markets, we need sufficient financial means because we first have to gather data on the relevant beach destinations on those continents before we can actively target those markets. But before we cross the Atlantic, our task will be to increase awareness of the Beach-Inspector brand within other important European markets, such as the U.K., France, Italy, and other countries. We have already laid most of the foundations for this step. For example, as much as 80 % of our content is already available in English. The next step in our internationalization will be the U.K.
Wouldn't a partnership with Companisto start-up Panono make sense to you? Of course, we have taken your tips concerning a potential partnership with Panono seriously. Therefore, we are currently testing a Panono 360° camera on Fuerteventura. We would like to thank the Companists for their suggestion and Panono for providing us with the test equipment rather spontaneously. That concludes our special update. We would be glad if you participated in our web conference next Thursday.